As any other animal, the pug needs quality grooming. Bathing pugs is recommended only in cases of severe pollution, as with all the rules of the dog's coat remains clean. If the animal is dirty, when you wash, you should consider certain features. Lay on the bottom of a bath Mat to the paws of an animal does not slip on the surface, and adjust the water temperature. It should be equal to body temperature, the animal is not frozen and not burned. Pour into the bottom of the tub with a little water. The pug ears plug with a cotton swab, which will protect them from water when washing off the shampoo. Wet hair from the shower, avoiding the head. A section of wool on it and the face wash at the end of the swim. To do this, simply wet with warm water and a soft cloth to wipe down every crease on the face. 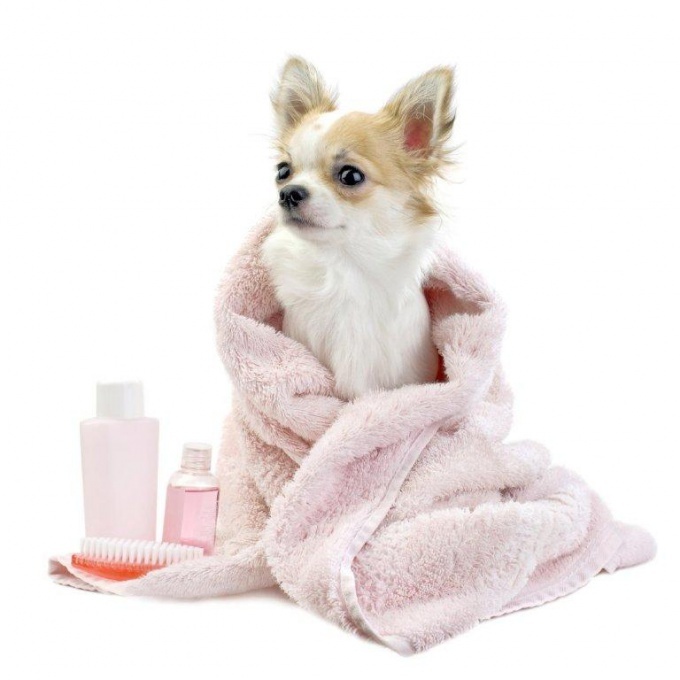 RUB in a small amount of shampoo, lather it and apply on the dog's back, stomach and legs. No need to take too much detergent, or in contact with wet hair can be formed excessive foam which will be difficult to wash off. The shampoo is rinsed from the hair immediately after soaping large amounts of cool water. After washing your pug is finished, wipe well every crease with a towel, remove ear canal swabs and wipe thoroughly with a dry cloth the ear. 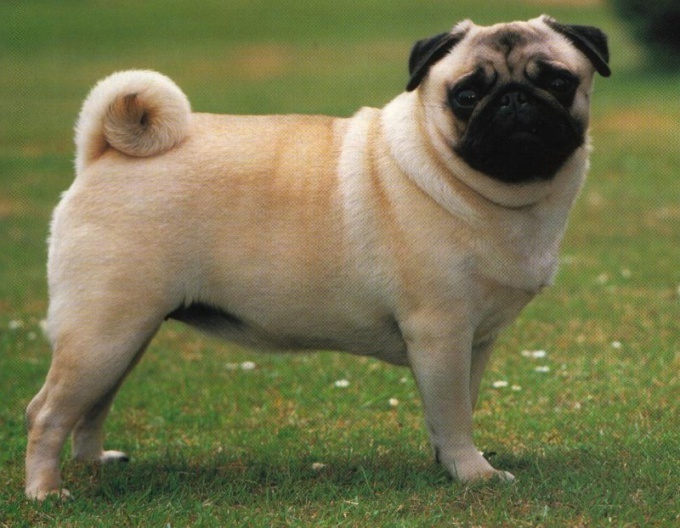 Care pug includes regular cleaning of the ear canal from accumulated dirt and sulfur. The dog's coat can dry neat blotted movements with a towel or Hairdryer, but not every animal is willing to quietly tolerate this procedure. In the room at this time should be warm, otherwise the animal might get sick. Before you bathe your pug, you should carefully review the hair on the presence of parasites. If those are found, use a special insecticide shampoo. In parallel with this process the insect repellent place of stay dogs. Pugs recommend washing no more than once per quarter, otherwise the water can wash away a biologically active film that covers the hair. Without it the dog may appear dandruff, and the hair becomes dull and brittle.